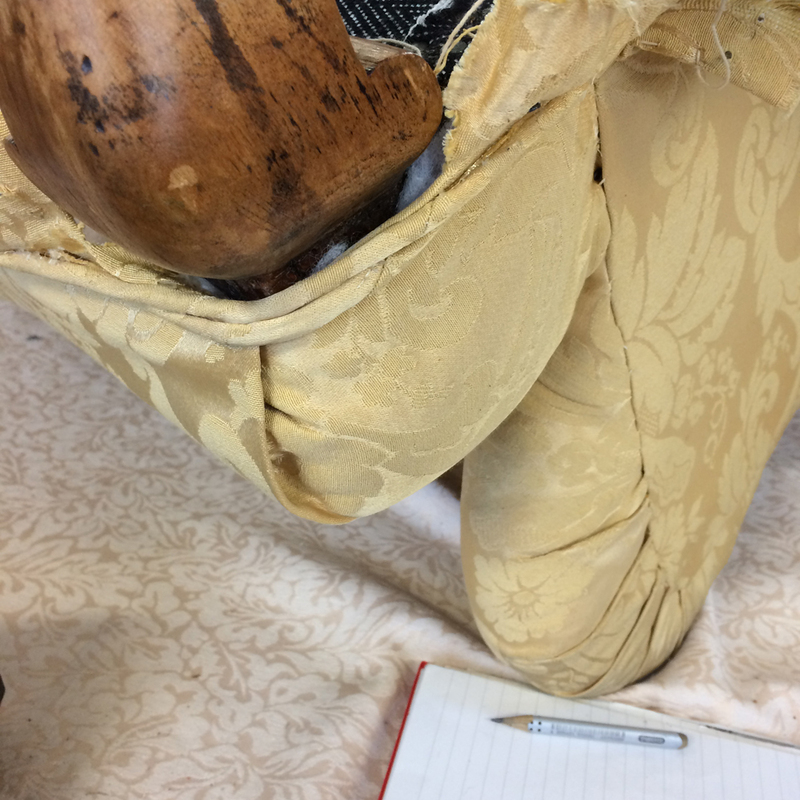 It’s upholstery time at Napoleon Rockefeller and as I began to seek a new upholstery project to get my teeth into, as if by fate, this vision of faded glory in yellow damask arrives into the hands of my partner, the antique dealer. A real upholstery challenge this would be, since it features two upholstery techniques I have yet to master – deep buttoning and piping! I’m full of trepidation because I have to admit that my sewing skills are virtually nil, and as for accuracy with measuring…well let’s just say maths is not my strongest point! But no time to procrastinate, since it was this chair or nothing, so I grabbed the bull by the horns and took a deep breath, before launching into stripping mode! 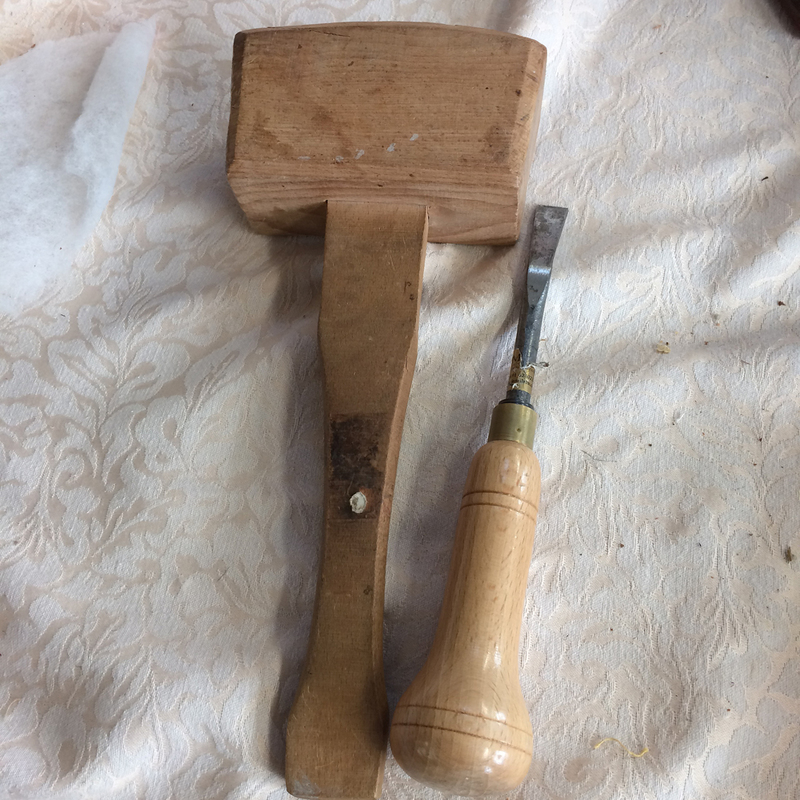 Time to roll up sleeves and fetch my trusty mallet and chisel…two of an upholsterer’s best friends. Upside down she goes and with a bit of force, I begin to ease this baby out of it’s yellow skin. With some knocking and pulling, the tacks come out one by one, and the bottom cover comes off to reveal the still intact traditionally webbed bottom. Taking a good look I can see that this armchair has originally been reupholstered in the traditional way under the tutor-ledge of by our exacting mistress Ms Sarah B, and indeed said tutor gives a nod of approval to the standard to which it’s been built. Good news – this means I can work on the top layer exclusively without worrying about taking the chair apart completely. 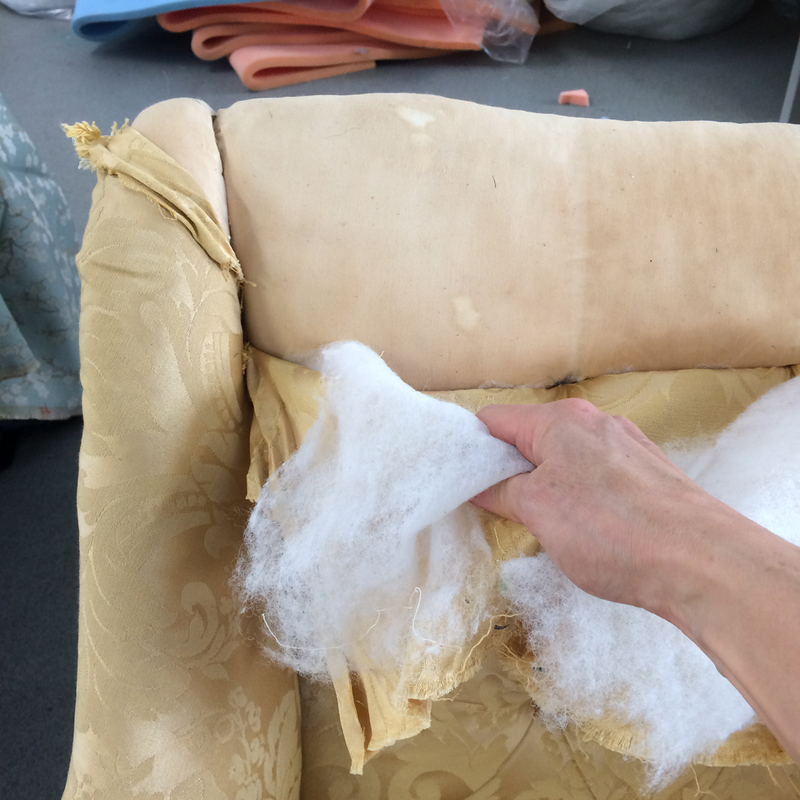 You learn a lot about how a chair is upholstered when you take it apart. 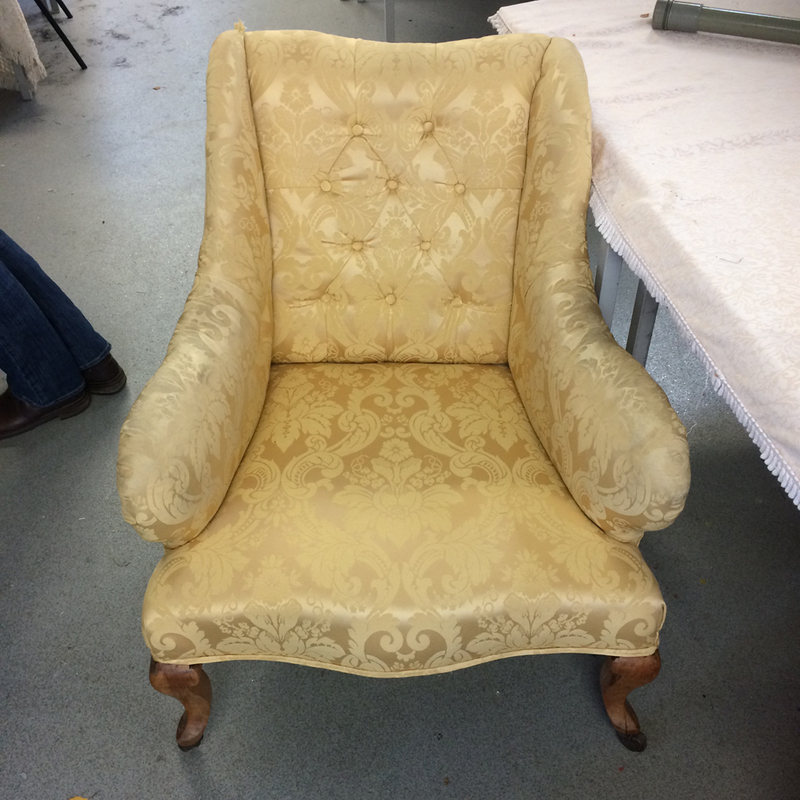 This chair was upholstered in a particular order, so the inside back could not be wholly pulled out without attacking the stitching at the button holes, sides and more tacks at the sides. Even the arms are carefully tucked in and tacked round the back. 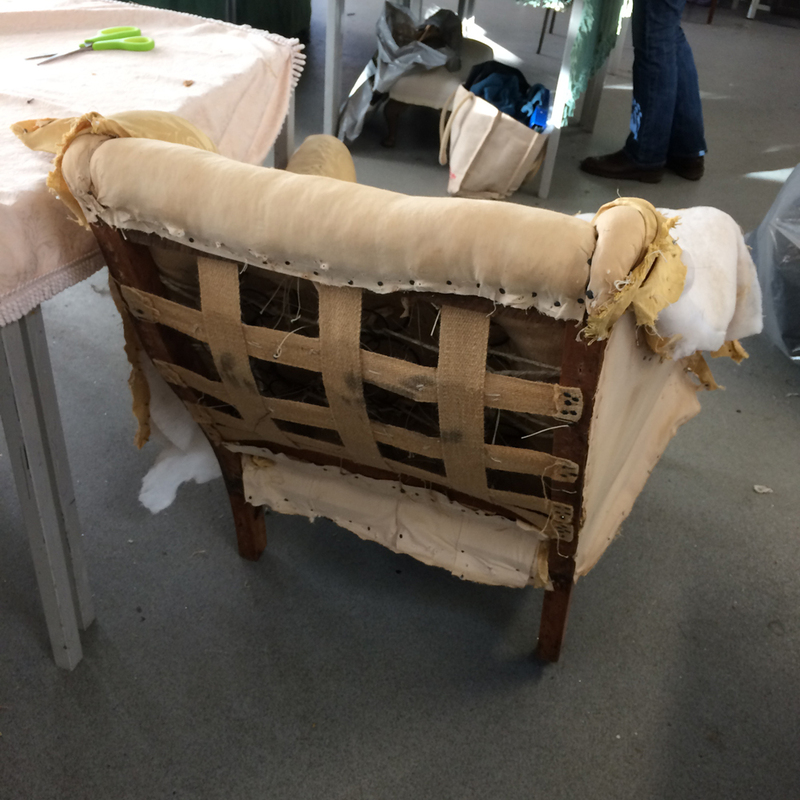 From the back you can see how intricate the upholstery is on this chair, with more webbing, springs and stitching. 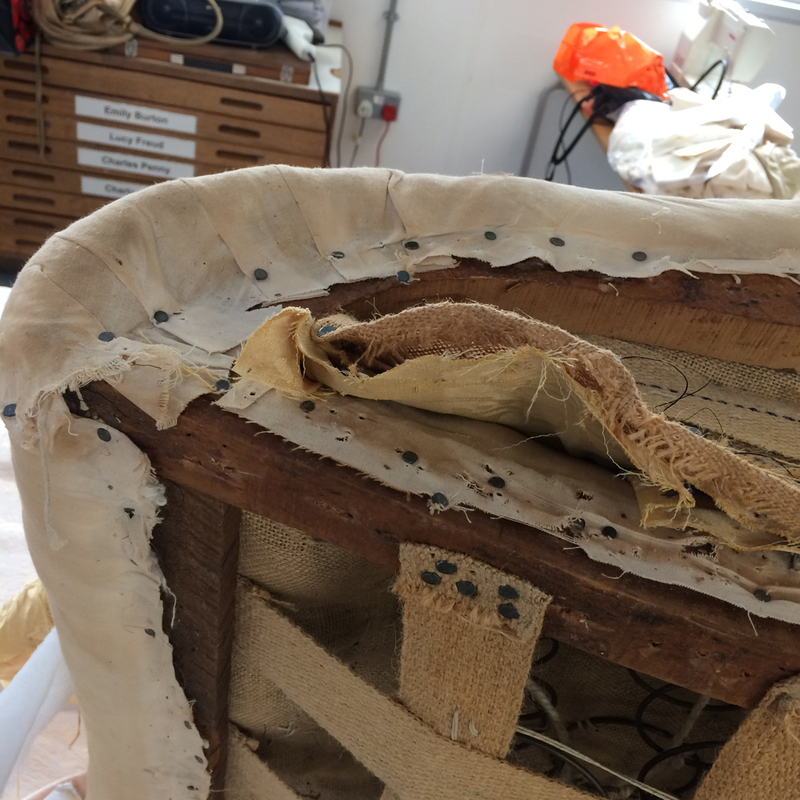 Carefully I remove tacks and lift up hessian to get to the damask fabric which has been layered on top of calico in order to pull out the soon to be defunct fabric covering. 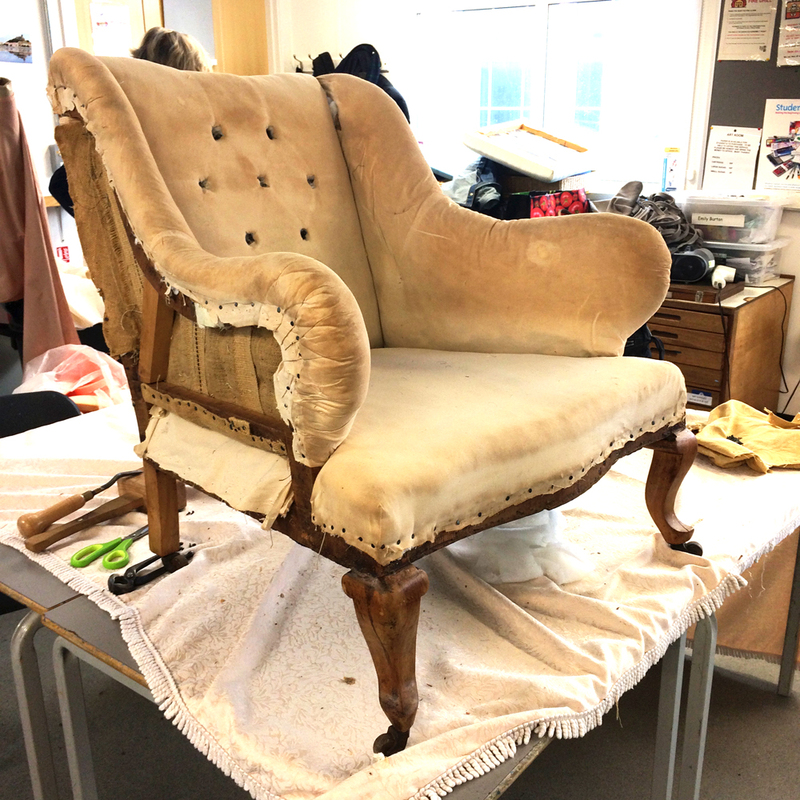 After nearly two hours of removing tacks, pulling and snipping, here is what the almost naked chair looks like, with original calico almost in tact, ready for a new lease of life! 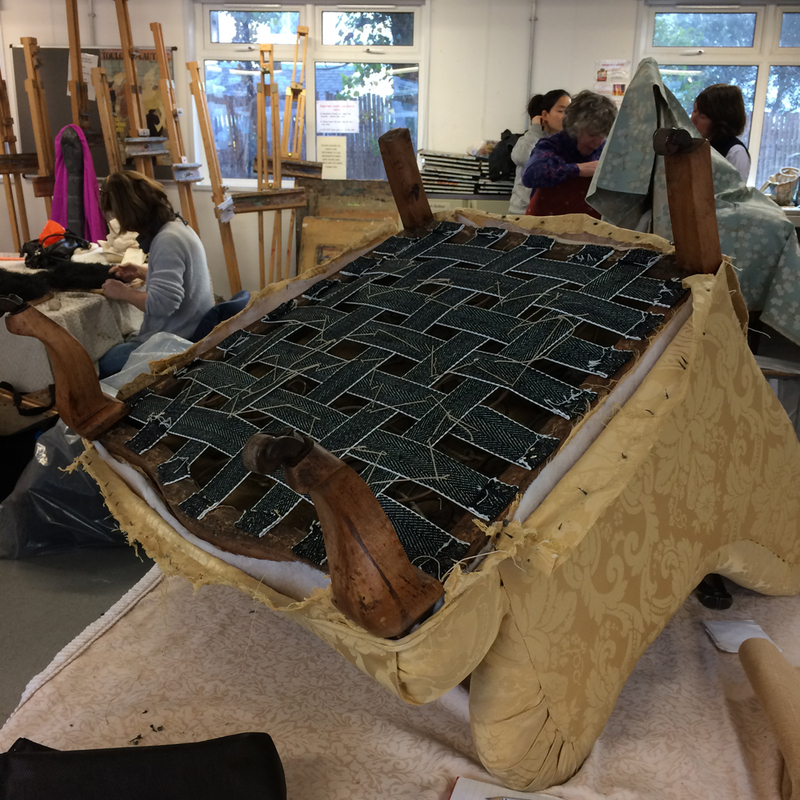 All that needs doing now is a tot up of measurements, deciding on the new fabric and onto the tricky part – reupholstering!